Ranjan Mathai, former Indian Foreign Secretary and Indian High Commissioner to the UK during his visit to the CURE Clubfoot Clinics in Delhi was overwhelmed to see the functioning of the clinics. 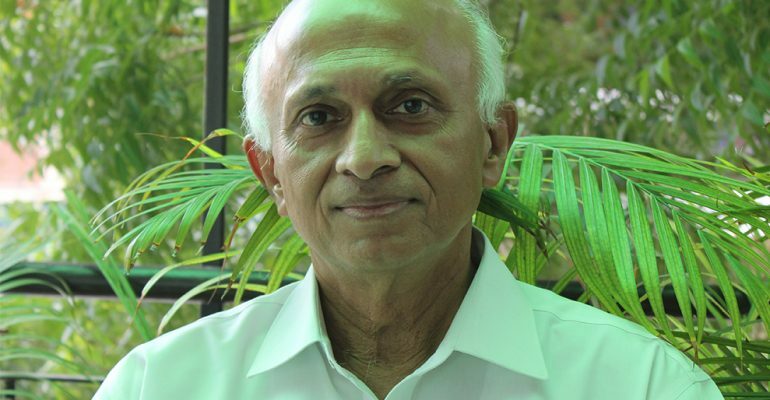 After retirement he has joined the CURE International India Trust (CIIT) as a board member and is passionate about helping the children and their parents in every way possible. Having been in the Indian Foreign Service for quite a long time and now joined the CIIT as a board member. How do you feel being a part of CIIT since both the fields are quite different? I have now retired and have more time than I had earlier. I was very impressed to hear about the healing of the children, particularly when you get to hear about the widespread dilemma of clubfoot which can be tackled, so I thought I would join the board and see in what way I could support the cause. I intend to find some ways of supporting the program which is both very noble and practical. After visiting the various clubfoot clinics and having met the children undergoing treatment as well as their parents, how would you evaluate your experience? It was quite amazing to witness how the clinic functions. It is inspiring to see the people coming to the public hospitals and getting their treatment. The dedication of the doctors involved in the clubfoot program is noteworthy. I felt a sense of sympathy for the parents who have to travel miles to come to the clinic for the treatment of their children. There are issues for many of the families regarding commuting to the clinics which is the cause of dropout for many. I do have some thoughts regarding this which I would share with CURE later. But maybe in consultation with the other organisations we have to help the parents with the expense of their travel and find a place for their accommodation when they come from far off places for a check-up. One thing which struck me was that, because the people have great confidence in the doctors, they keep coming back. But there are now options as CURE clinics are functioning in many other states/districts, we should explain to the parents that they will find the same level of dedication and help in those clinics as well and they should take advantage of the facilities which are closer to them. You have travelled and resided in so many countries, did you come across clubfoot earlier? No, I did not know what it was and above all I did not know there was a cure for it. Any thoughts for those involved in this program? This is a very inspiring program and whatever you do, however smaller your role, you all are contributing to a very noble cause which needs to be appreciated. So keep up the good work and the board will definitely find ways to encourage you.